We are working jointly and actively with businesses to attract more solvent tourists to Bulgaria with diverse services. It is very important to us that the first-time guests in our country return again, we are helped in this regard by the successful partnership with global tour operators, such as Thomas Cook. This was stated by the Minister of Tourism, Nikolina Angelkova, during a London meeting with the company’s CEO, Peter Fankhauser. This was the third business discussion between them over the last three years. As a year-round destination Bulgaria essentially offers any type of tourism, registering record-breaking stats in recent years. In 2017 our country was visited by nearly 8.9 mil. international tourists, a 7.6% growth compared to 2016. Last year, revenues from international tourism saw an even bigger growth – in absolute terms they are nearly BGN 6.9 bill., which is 9.3% more compared to 2016, emphasized Minister Angelkova. She noted that this interest has also resulted in more chartered flights to Bulgaria by low-cost and other airlines. The Bulgarian minister informed the head of Thomas Cook of the diverse opportunities at the most visited resorts in our country, such as Sunny Beach, Golden Sands, etc., which offer rest and active recreation to clients with various needs – family type vacations, entertainment, party events, sports, etc. This is why we plan to regulate product zoning at our national resorts, so that all customer preferences may be fulfilled – from children to seniors. Peter Fankhauser congratulated Minister Angelkova’s team on its achievements, pointing out that despite intensifying competition, Bulgaria is attracting ever more tourists and has great potential to sustainably develop any type of services in the sector. The CEO paid attention to the need for high quality of the products in order to keep user interest active. Opportunities to expand bilateral business contacts in tourism were also discussed during the meeting. 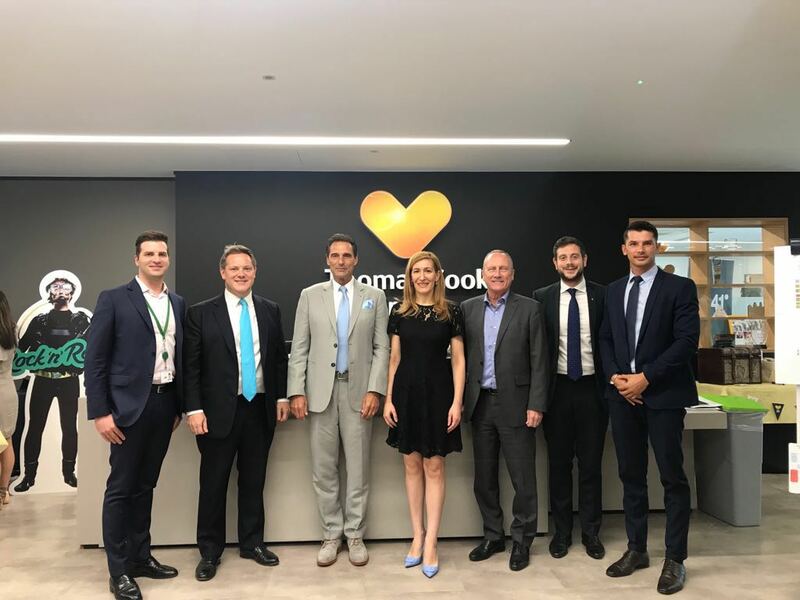 The representatives of Thomas Cook showed interest in the potential for new tourism investments in Bulgaria as a developing strategic market for the company. Thomas Cook is one of the leading global tour operators with 12 mil. unique online users of its website on a monthly basis. Those visiting the company offices and its partner network number 40 mil. In 2017 the number of tourists traveling to Bulgaria via Thomas Cook was 404 698, an 18% growth compared to the previous year (over 61 000 persons more). During the January-April period of 2018 they exceeded 264 000, but summarized results for the strongest summer months are upcoming. In 2018 a 61% increase is expected in the capacity of the company’s airline passengers from the UK, Germany, Belgium, and Scandinavia.